Skating Fun for all sponsored by the Glenview Blades featuring professional DJ from Bizar Entertainment! Time: Performance by Glenview Blades Synchronized Skating Teams 8:10pm. Open Skating for all 8:20-9:40pm. Price: $7 per person. $8 with skate rental. $25 for a group of 4. 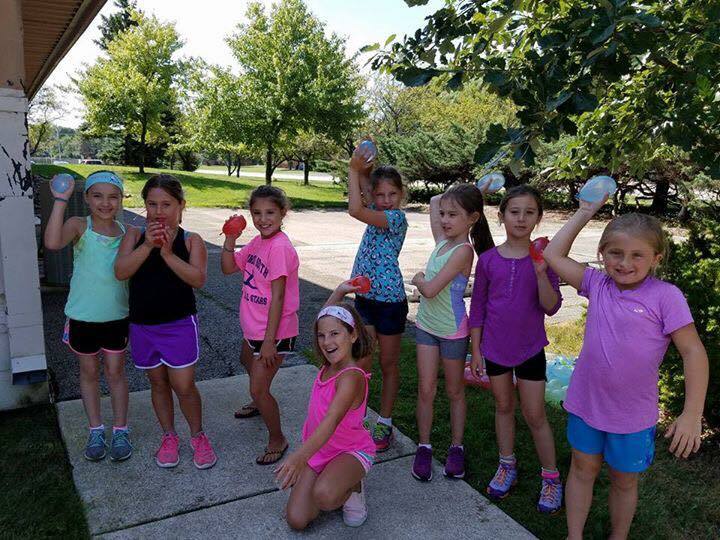 The Glenview Blades invites you and your friends, family, and neighbors to enjoy a night of skating and music, featuring professional DJ from Bizar Entertainment. 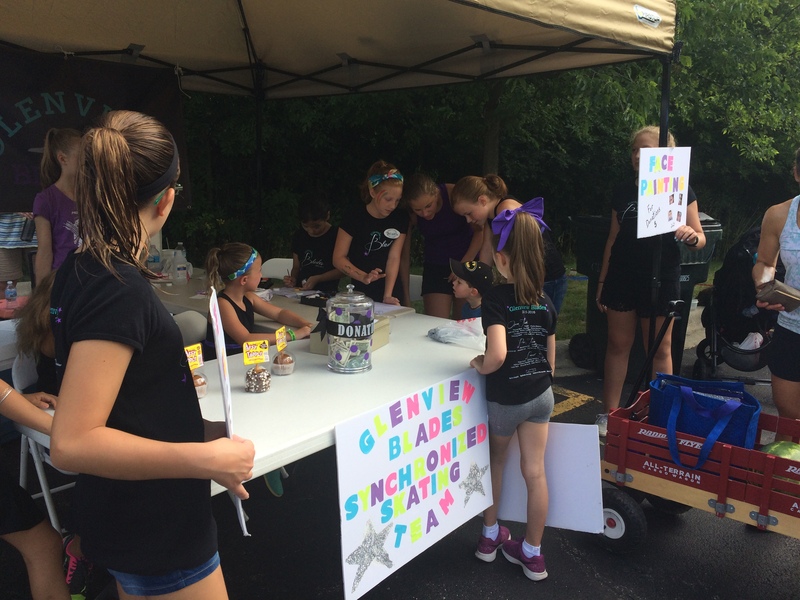 Your generosity and participation during this event will support the 2017-2018 Glenview Blades synchronized skating teams season of competitions and events AND 10% of the money raised will be DONATED to Northfield Food Pantry! We will also accept non-perishable food donations for Northfield Food Pantry. If you cannot attend the event, but would like to donate to the team, press the “Donate” button on this page. to kickoff the 2017-2018 Season! 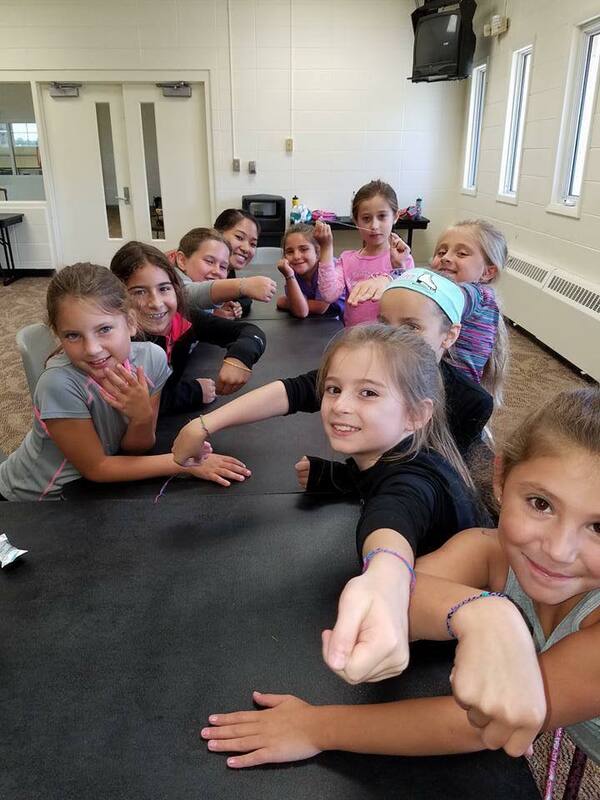 Glenview Blades skaters enjoy boot camp this week as they prepare for the upcoming season. 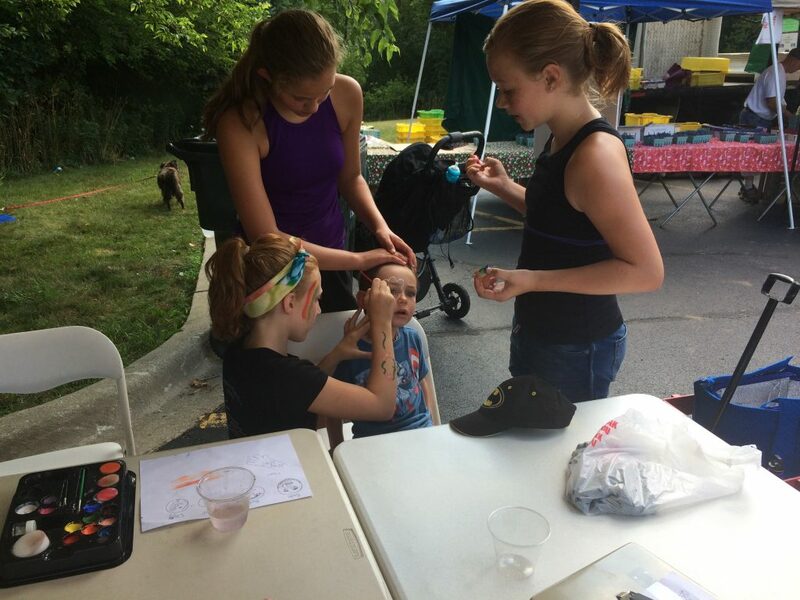 Members of the Glenview Blades teams provided free face painting and sold Affy Tapples in August at the Glenview Farmer’s Market to kickoff the 2016-2017 Season. Interested in Synchronized skating? 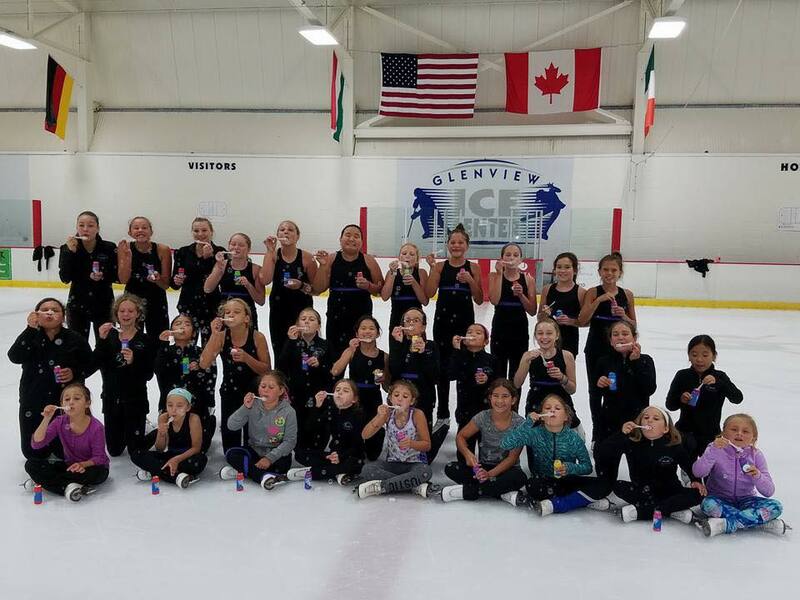 Join the Glenview Blades for a free Open House on March 22 from 5:15-6:15pm. 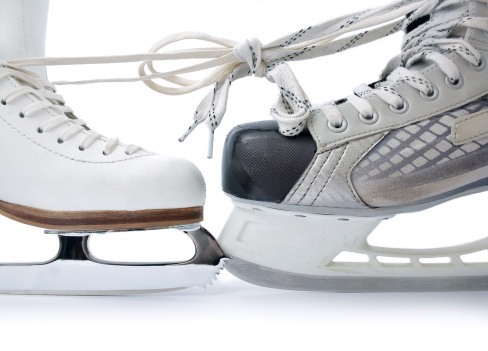 Watch the teams skate, meet the coaches, and try out your skating skills. This event is open to all skaters in Basic 3 and above. Clinics for the 2016-17 teams will be held April 5, 2016. 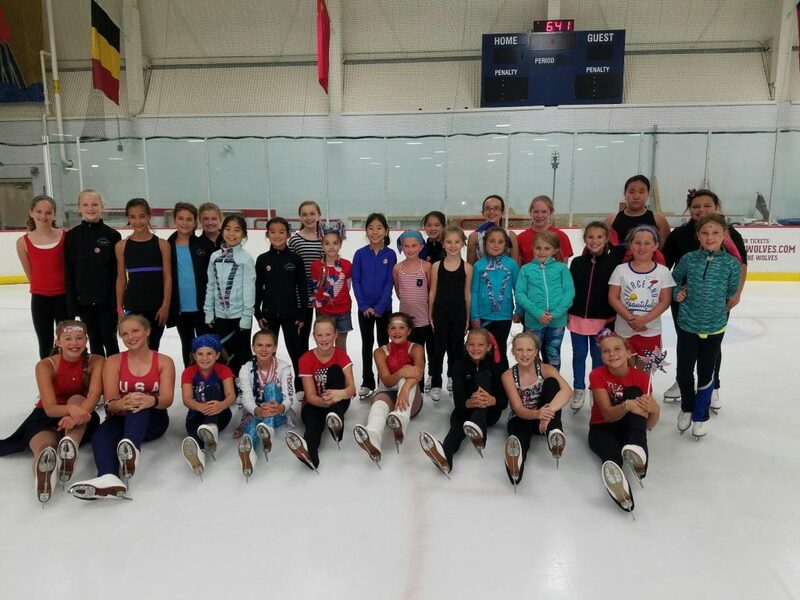 Skaters in Basic 3-Freeskate 3 should attend between 4:05-5:10pm, and skaters in Freeskate 4 and above should attend from 5:10-6:15pm. Clinics will go over the skills that will be done at tryouts and also allow parents and skaters to ask questions about the program. 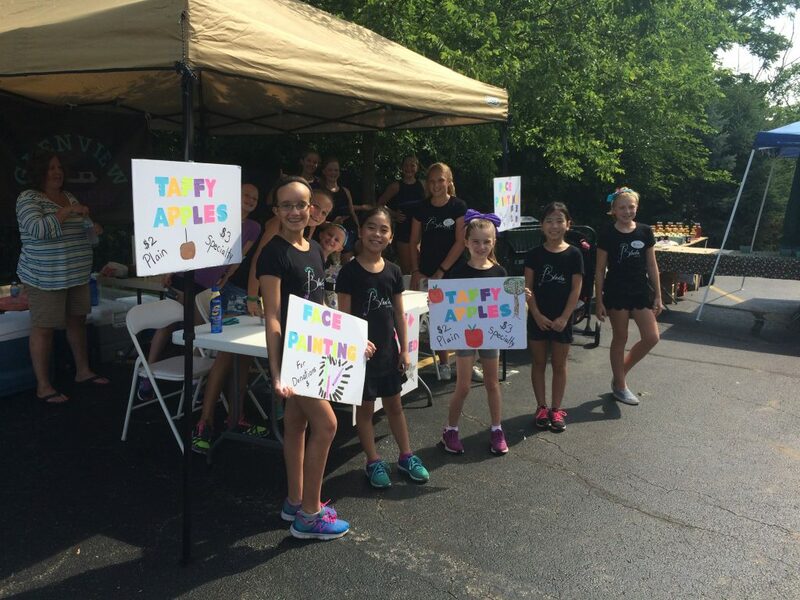 Clinics cost $15.00 for new skaters, and registration is available at the Ice Center office. Wheel – an element where all skaters rotate around a common center point. The Glenview Blades synchronized skating teams participated in competitions on January 9th, 16th and 17th winning medals at each competition. On January 9th, all 3 teams competed at the Foot of the Lake in Fond du Lac, WI. At the competition: the Level 2 team earned the bronze medal, the Pre-Juvenile team earned 6th place, and the Open Juvenile team earned 6th place. On January 16th, all 3 teams competed at Synchro Illinois in Oak Lawn, IL. At the competition: the Level 2 team earned the gold medal, the Pre-Juvenile team earned the gold medal, and the Open Juvenile team earned the silver medal. All the teams performed with excellence and smiles. Finally, On January 17th, the Level 2 team competed at the Winter Blizzard in Skokie, IL and earned the silver medal! 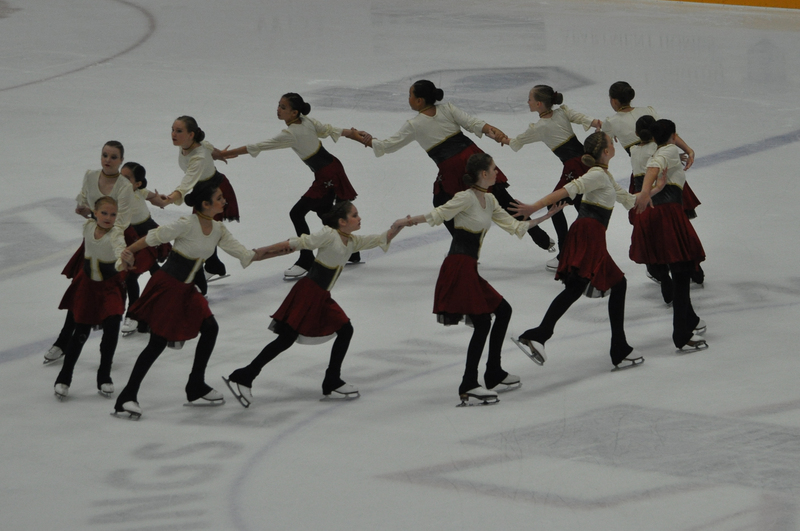 The Glenview Blades synchronized skating teams participated in competitions on November 15th and November 22nd winning medals at both competitions. 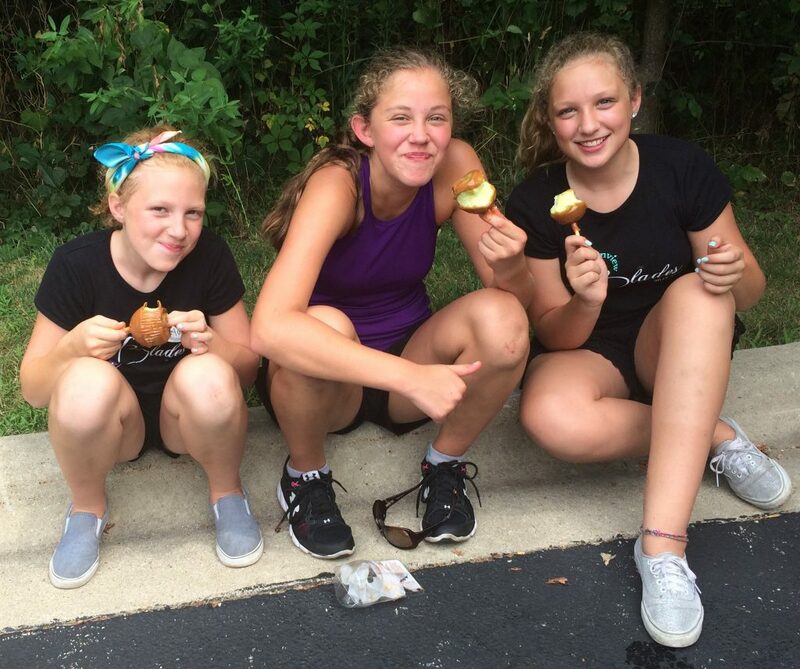 On November 15th, all 3 teams competed at the Autumn Classic in Pleasant Prairie, WI. At the competition, all 3 teams earned medals in their respective divisions: the Pre-Juvenile team earned a gold medal, the Level 2 team earned the silver medal, and the Open Juvenile team earned the bronze medal. The Pre-Juvenile team and the Open Juvenile team also participated in the Kickoff Classic in Kalamazoo, MI on November 22nd. Both teams skated well in very competitive fields with the Open Juvenile team earning a pewter medal. Great beginning to the season skaters. 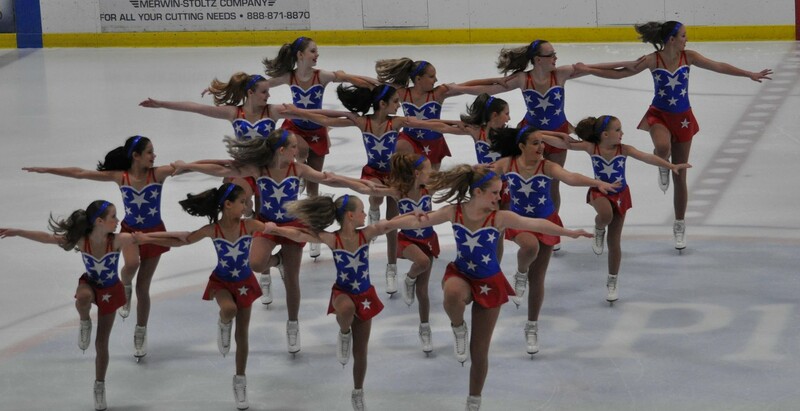 Come see the Glenview Blades Synchronized Skating teams in their first competition of the season this Sunday, November 15th at the Pleasant Prairie RexPLex Ice Arena, 9900 Terwall Terrace Pleasant Prairie, WI. The Pre-Juvenile team will skate at 9:41 am. The Level 2 team will skate at 9:56 am and the Open Juvenile team will skate at 10:29 am. Good luck to all the teams! !